On Course For The North & West! 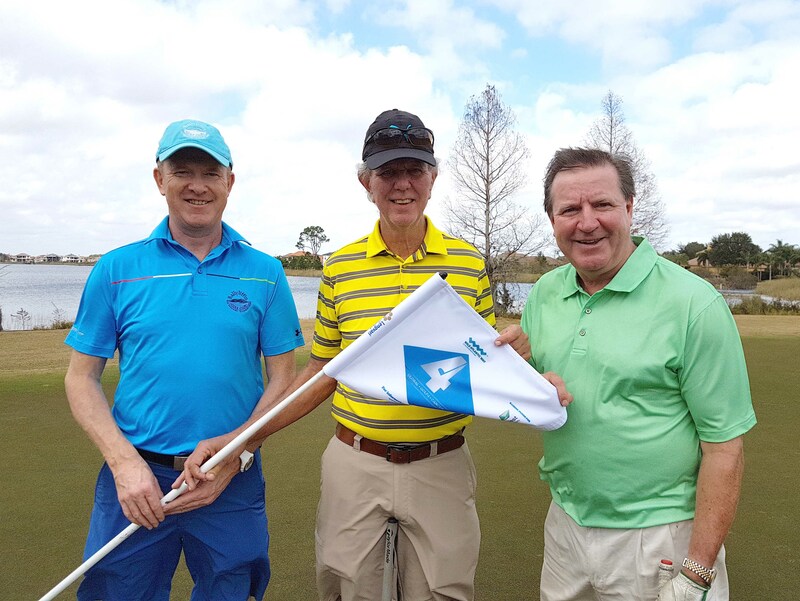 Legendary Liverpool and Republic of Ireland footballer Ronnie Whelan (right) took to the golf course in Orlando, Florida, with John McLaughlin (left), CEO North & West Coast Links Golf Ireland, and Florida golf enthusiast Larry Mueller. Ronnie was a guest of golf marketing company North & West Coast Links which is flying the flag for some of Irelands finest links courses at The PGA Show in Orlando, the biggest industry golf show in the world attracting more than 40,000 visitors and over 1,000 media outlets from 25 countries. An Irish Golf Day, organised by the company in association with main sponsor Tourism Ireland, saw more than 100 golf tour operators, golf media, group leaders and Irish golf trade representatives tee off at The Golden Bear Club at Keene’s Point, Orlando. North & West Coast Links carries out a range of marketing activities for member golf clubs in the north west region of Ireland, including Ballyliffin, host venue for this years Dubai Duty Free Irish Open, Royal Portrush, host venue for The Open in 2019, Carne, Enniscrone, Donegal, Narin & Portnoo, Rosapenna, Castlerock, Portstewart, Ardglass, Galway Bay, Westport and Portsalon.